Microsoft released a security advisory about a denial-of-service vulnerability that could render multiple versions of Windows completely unresponsive and has no mitigation factors, the company says. 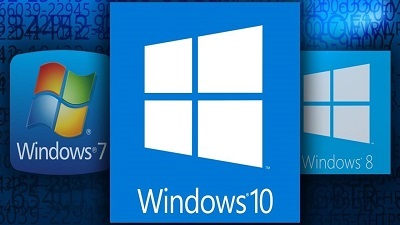 The vulnerability affects all versions of Windows 7 through 10 (including 8.1 RT), Server 2008, 2012, 2016, and Core Installations. Tagged with the identification number CVE-2018-5391, the bug received the moniker FragmentSmack because it responds to IP fragmentation, a process that adjusts the packet size to fit the maximum transmission unit (MTU) at the receiving end. IP fragmentation attacks are a known form of denial of service, where the victim computer receives multiple IP packets of a smaller size that are expected to be reassembled into their original form at the destination. FragmentSmack is a TCP fragmentation type of attack, also known as a Teardrop attack, that prevents reassembling the packets on the recipient end. The vulnerability is as old as Windows 3.1 and 95, where it crashed the OS, but it was seen in the more recent Windows 7, too. "An attacker could send many 8-byte sized IP fragments with random starting offsets, but withhold the last fragment and exploit the worst-case complexity of linked lists in reassembling IP fragments," reads Microsoft's advisory on the bug. There is a possible workaround posted on OUR FORUM.